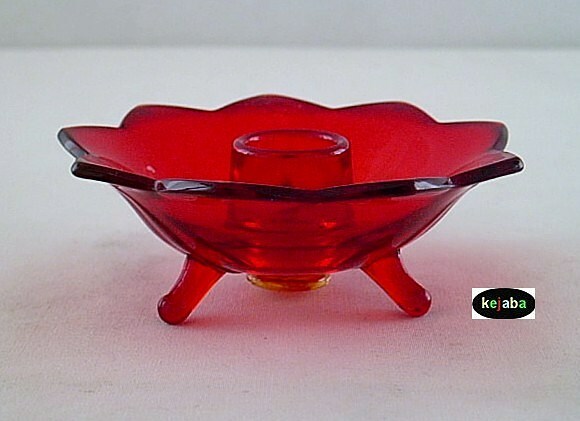 A vintage Fenton ruby glass candleholder / candlestick. This candleholder is Fenton's #848 line that rest on 3 legs. It has a little bit of amberina coloring on the outer edge as seen in the pictures (normal for older Fenton ruby pieces). It was produced by Fenton from 1933 to 1936. 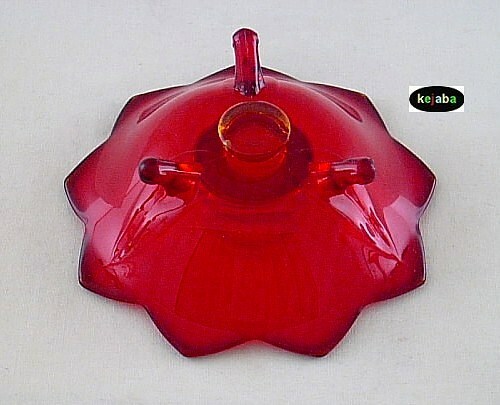 The candleholder measures approximately 4 1/2 inches across and 1 3/4 inches tall. All items available in this listing have no chips or cracks and show little if any signs of usage or wear. 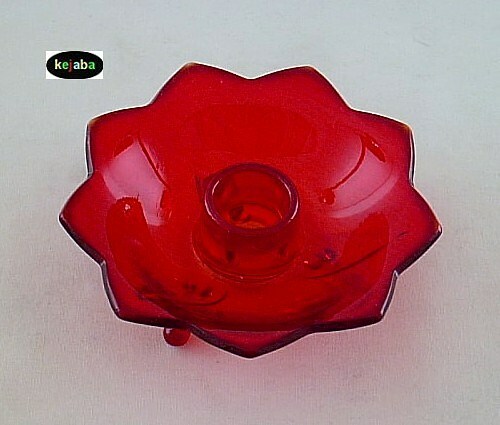 Being a vintage piece of Fenton glass it is not marked with the Fenton in the oval logo.